Great turn out today at the flotilla send off! 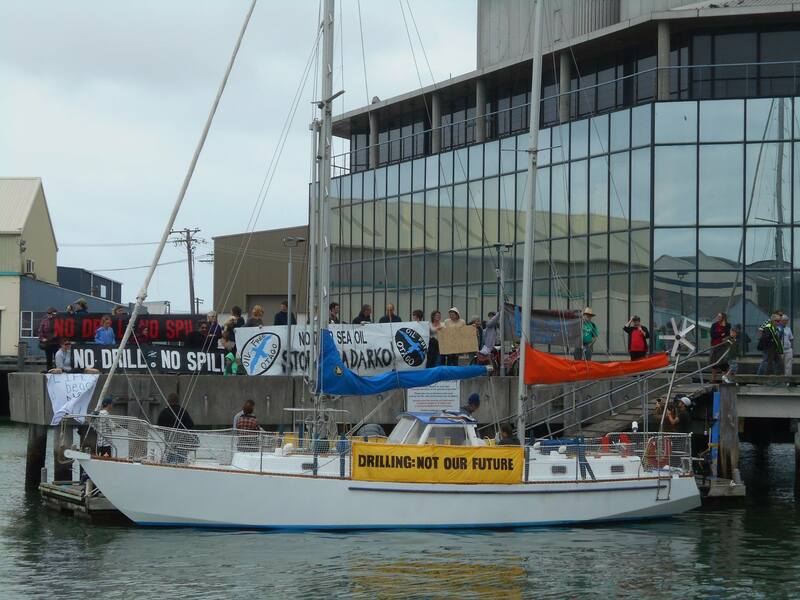 The flotilla is off to meet Anadarko’s ship at sea to tell them why we don’t need or want deep sea oil drilled off our coasts! Check out the media links below. More updates soon!